These are the freshest Houston condos on the market! These listings have all hit the market in the last 24 hours. Bookmark this page and check back often because it will update throughout the day as new listings are added. 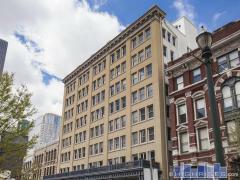 You can also expand your search to see all new listings from the past 7 days or search by area on our Downtown, Midtown, or Uptown pages. Office: US Realty Group Inc.